I couldn't find a better resolution logo. The Alliance Française library, like its name implies, deals exclusively with French books. This article will however still be in English entirely because I'm crazy. It's no secret that reading is dying in Mauritius. Facebook, movies, videos games, television in general and Facebook (Twitter gets no love here) have literally ripped reading to shreds, and librarians and book stores have often pointed out that the business of selling and even renting books has steadily declined over the recent years. I'm not sure how many paid libraries are still operating in Mauritius but I know for a fact that several libraries I used to take books from several years back have closed down. I'm mainly a reader of English novels and my quest to find a good library where I could borrow books from was an epic failure. I could not find one and eventually gave up. I however one day read an article in a newspaper which was about the renovation and subsequent opening of the Alliance Française library in Bell Village. The pictures looked interested and I figured it would not hurt to go there and check whether it was worth becoming a member. I was especially interested in a family package deal where members could borrow 15 books for up to three months. Since my reading habits nowadays can be pretty hectic and having to change books every 3 or 4 weeks is a huge problem, the three-month deal looked perfect. Loan durations however is not yet the holy grail of borrowing books, and my main problem was that I almost never read French books (whether these books were originally written in French or were translated from English). A trip to the Alliance Française library was thus essential to determine whether a membership was worthwhile. 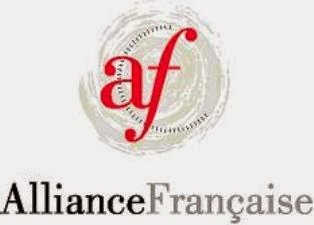 One thing I forgot to mention was that I read that article in 2013 and that I first visited the brand new Alliance Française library in July 2013 to enquire about the process to become a member. The formalities were a breeze. After filling in some light paperwork, I had to choose the membership type I wanted - I opted for the 15 books and paid the annual membership fee, which is only around Rs 750. There could be an additional fee for new memberships, but I can't remember whether it's the fact as two years is a lot of time and my memory gets flushed every two months. It's almost two years since I joined the library. I mentioned earlier that I was reluctant about reading French books but it turns out it was just a habit thing. Once I started borrowing books from the Alliance Française and reading them, I soon started enjoying them. And there is a lot to enjoy about borrowing books from there because the collection they have is amazing. I have been able to (re)discover some favourite authors such as Pierre Bellemare, Leo Malet but especially Maurice Leblanc, the father of the legendary Arsène Lupin. 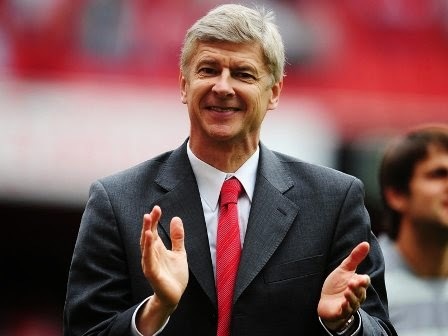 Even the other Arsène is happy. Even beyond these authors which I already knew, I have also discovered some amazing books from both international and local authors. Three years back, I probably would not have considered even picking up a book by a Mauritian author but have since become a huge fan. The best thing about the 15 books deal is that I'm not just borrowing books for myself but for the entire family. Of course, I always pick up some books that only I will read (my family unfortunately does not seem to agree that Arsène Lupin is one of the best fictional characters ever) but there are books available for every type of reader. It does not matter what kind of reader you are, you will find books that will perfectly satisfy your needs at the Alliance Française. There is a restriction that you can only borrow a maximum of two books by the same author at any time but it's not a big problem since you sign up for an annual membership anyway. So you can just go for two more books from your new favourite author when you visit the library another time. The library does not have its own website but you can find a page on the general Alliance Française website.